Day 23! One more day left in the Beer advent calendarextravganza. Tonight's beer is the much sought-after Westvleteren XII by The Abbey of Saint Sixtus of Westvleteren. As some of you know, it was one of the most raved after beers in all of Toronto - then Canada when its first ever appearance at Ontario LCBOs sold out in under 4 minutes. I wasn't able to get a 6-pack of the beer when it came to Manitoba Liquormarts, it sold out immediately.. but in MLCC's case.. they didn't have limits set so I heard at one Liquor Mart in Winnipeg that one guy bought SIX packs of the beer at $95/six-pack. As you can see, it's one of the most costly beers that any of us would ever get to try. Appearance: Pours a very dark nutty brown beer with a bit of a cola hue. A decent amount of frothy and creamy beige foam. After half an hour, the foam is still very apparent. Aroma: Dark fruits, lighter in aroma than I would expect, some roasted malts, slight amount of molasses, Belgian yeast. Taste: Quite an interesting beer with flavours that keep changing in every sip. I notice some dark fruits, Belgian yeast, a bit of a breadiness, a sweet caramel/molassey clashing, taste of alcohol. Every single sip I take, I notice something different than the previous sip. Overall Thoughts: Easily one of the most complex flavoured beers I've ever had. It has a mixture of all the flavours that I love most about Belgian ales. Flavours are incredibly complex as every sip is a different flavour for me. However at $15/bottle.. that's a bit pricey. However, I may never ever see this beer ever again in my neck of the woods, but Westvleteren started to change tradition and did regular distribution outside Belgium and sold regularly in Canada, I don't think I'd spend the $15/beer. There's an insane amount of amazing beers from Belgium like Chimay, Rochefort and Duvel. 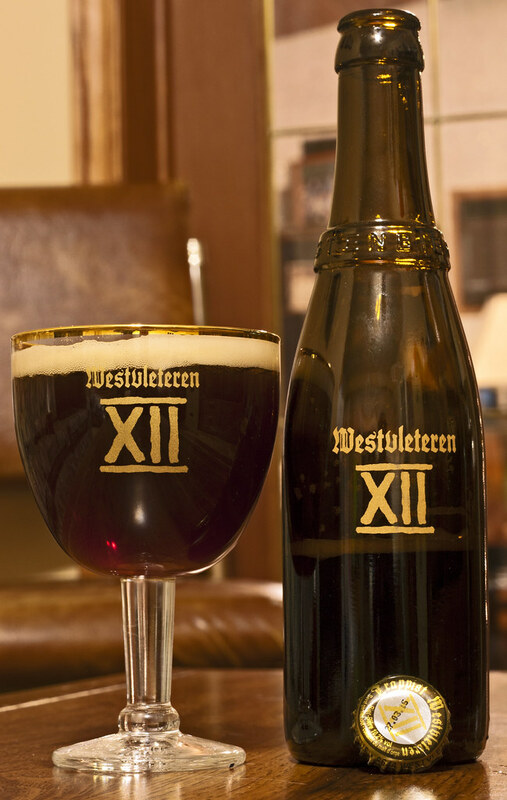 Westvleteren 12 has 11.2%! Which could get one warmed up, but in a 330ml bottle.. probably not so much.